High pressure flexible hoses – also known as FHA (Flexible Hose Assembly) – are assets on a technical installations, rigs and vessels that are safety-, production-, and environmentally critical and can potentially account for downtime. After accidents in the Oil & Gas Industry, more focus is on the management of flexible hoses on technical installations, rigs and vessels. This has resulted in increased regulations and requirements from authorities and customers. Keel performs visual inspections, registration and tagging of flexible hoses according to internal company procedures as well as the international industry guidelines for the management of flexible hoses by authorities such as the Energy Institute. We create a hose registry that complies with industry requirements. All available master data is collected based on thorough analysis of existing documentation such as manuals, P&ID drawings, and hydraulic diagrams. This is followed by physical inspection and verification on the unit, including tagging (applying tag plates/RFID chips), identification and replacement of defect hoses, and registration of items that are missing on technical drawings and in documentation. Our services include performing criticality analysis of the hoses based on specifications from the customer (safety, production, environment, cost), preparing work packs, creating task lists and maintenance items etc. Our CAD engineers can create specific hose management drawings (P&ID drawings) identifying maintainable items, thereby simplifying the maintenance planning procedure. Keel developed a customized turnkey solution to manage high-pressure flexible hose assemblies (FHAs) on drilling rigs. Our unique turnkey solution covers the whole process from pre-inspection and pre-fabrication of hoses before yard stay to replacement of hoses during yard stay, ensuring that 1) all hoses are installed and properly tagged with physical tags and RFID´s; that 2) master data is collected correctly; and that 3) the flushing and pressure test certificates for each hose is registered properly. All this is performed using mobile devices with the Keel SMART Inspector app that integrates with the customer’s CMMS/ERP system such as SAP or Maximo. The challenge is managing to register the flexible hoses in the CMMS/ERP system in an optimal manner with the right master data (such as length of hose, type of fittings, vendor details, certificates). 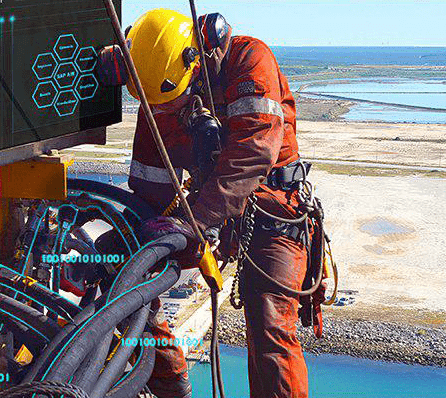 Keel has strong SAP expertise and experience with creating high-quality documentation and setting up maintenance for technical installations such as offshore drilling rigs. Increase efficiency during project by strategically pre-fabricating hoses before project start (based on collected data during operations). Read more on the Hose Management Product Sheet. 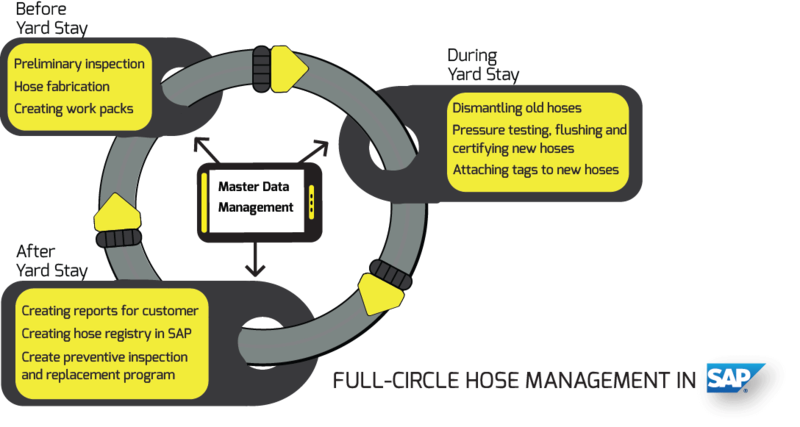 See the Experience page for completed Hose Management projects. 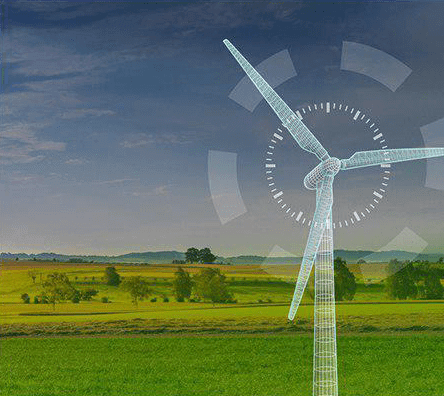 Read also a use case on how our Hose Management apps were used in project.